More than 70 teachers from schools in Old Fangak, South Sudan, will soon be in annual training that spans a three-month break. A challenge for women teachers is training days lost if menstrual hygiene products are not available . . . Dr. Ann Evans, Ellene Place, and volunteers in North Carolina are helping. In the years we’ve provided education support to schools in East Africa, we’ve become acutely aware of difficulties women and girls have finding and purchasing menstrual hygiene products. We’ve researched a number of options and had informative conversations with DaysforGirls, RUMPS, and social enterprises. We see a sustainable strategy emerging for 2018, but sometimes immediate needs just have to be addressed. 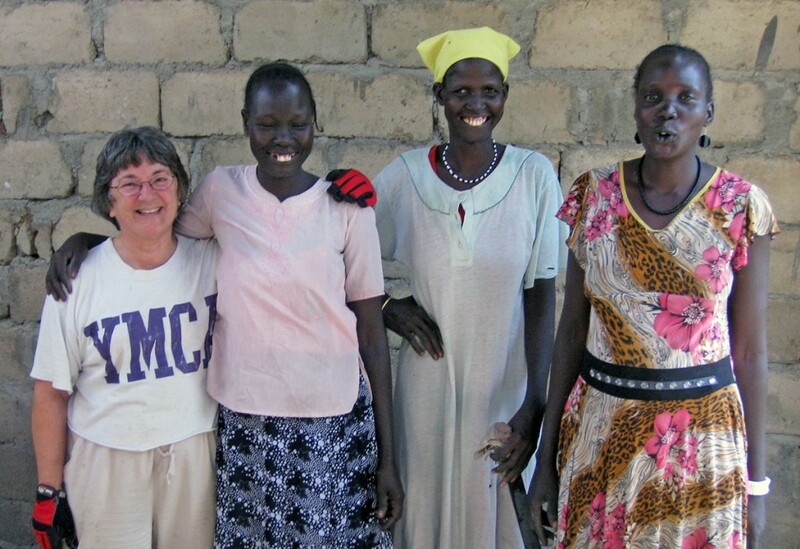 When Sr. Barbara Paleczny of Solidarity with South Sudan emailed, “Please, is there any way to provide menstrual hygiene products for women teachers during upcoming training in Old Fangak?” the answer was “yes.” After all, Dr. Ann Evans started what’s become a Mothering Across Continents project under the theme “Women at the Center,” and she’ll be back in South Sudan in November. Of course, Ann being the Ann we know and love found a creative, relationship-focused way to obtain the needed products. 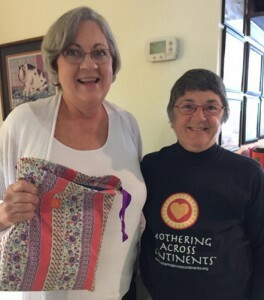 She arranged to meet Ellene Place, a former quilter in Pinehurst, NC, who switched to making #DaysforGirls menstrual hygiene kits. A small group of volunteers gathers in her home and sews together. 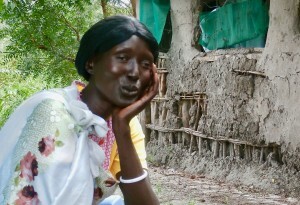 Over lunch, Ann showed Ellene photos of Old Fangak village, its residents and women teachers who will benefit. This entry was posted in Amazing Women, General, Women at the Center and tagged DaysforGirls, hygiene kits, Old Fangak, South Sudan, teacher training, Women at the Center on October 30, 2017 by Patricia Shafer. “Let’s meet at Charlotte International Airport”. . . so said Australian Karen Kendall of Shamida Ethiopia, Alishia Sullivan from the Abu Dhabi office of Squire Patton Boggs, and Patricia Shafer of Mothering Across Continents (MAC) returning to the US from Argentina. Of the three, I’m the latter – Patricia Shafer. It’s not entirely unusual for me to have meetings in airports. I’m on the road or in the air a lot. For instance, I spent much of the month of October in Virginia expanding our NewGen Peacebuilders program with high schools and universities across much of the state. In November, I’ll visit school projects in Rwanda and South Sudan. I once met a potential partner from Colorado in the Nairobi International airport. But this meeting – with Karen and Alishia was beyond special and full of serendipity. How is it the stars align such that three women hailing from, living in, and or working on four different continents can find themselves having coffee this way? A simple answer is that we are all involved in programs and efforts to support vulnerable children. A better answer, I believe, is that a force greater than all of us wanted me and other people to hear about Karen Kendall, who established Shamida Ethiopia. 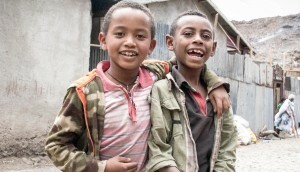 Through her daily management of Shamida Ethiopia Karen cares for orphans and vulnerable children, reunites street children with families and guardians, and empowers single mothers to care for their babies. 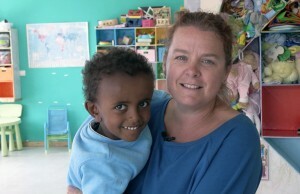 Karen does all of this as the mother of Ruby, the daughter she adopted in Ethiopia in 2012. I am thankful to Alishia for setting up this meeting. I had just come off a long international flight and there they were, waiting in a tiny coffee shop at a busy airport. They opened my eyes and made my heart bloom. This entry was posted in Amazing Women, General and tagged children, Ethiopia, Orphans, Shamida, Vulnerable children, women on October 26, 2017 by Patricia Shafer.